A few days later, I visited the Embassy to talk with Public Affairs Officer Dr. Argus J. Tresidder about my upcoming departure to the United States as a Fulbright grantee. When I told him of my annoyance with how the Embassy had behaved on the Fourth, he suggested I express my views to Ambassador Joseph Satterthwaite. From the smile on his face, I could see that he fully expected me to accept the challenge. He was right. Growing up in South Africa, and having worked for the heroine of the parliamentary opposition, Helen Suzman, MP, had been excellent training for speaking truth to power. I followed Argus to the Ambassador’s office and made my opinion of His Excellency’s shameful conduct quite clear, in notably undiplomatic language. Argus, still smiling, escorted me back to his office before the Ambassador could recover. In early December of that year, I returned to my birth city, Cape Town, to say goodbye to my parents before leaving for my new American life. In the evenings we walked together on the Sea Point beachfront, looking out across the water to a clearly visible Robben Island, where, six months earlier, a “terrorist” by the name of Nelson Mandela had been imprisoned. It had been an interesting year. Two days before the Fourth of July, President Johnson had signed the Civil Rights Act of 1964 into law. Returning to Pretoria, I walked across town to the great terrace of the Union Buildings to pause there and say farewell to my country. 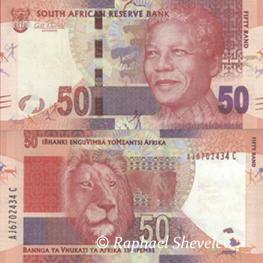 I could never have imagined that, thirty years later, a liberated Nelson Mandela would be inaugurated as his country’s President on that very spot, and that in 2012 South Africa’s currency would feature his portrait. On the tenth anniversary of my departure from South Africa I became an American citizen. In the course of those years I read widely in American history, while also witnessing the experience of the Civil Rights Movement. This year I shall be celebrating my forty-eighth in-country Fourth of July. While many of my compatriots will be watching fireworks displays and people dressed in eighteenth-century costume re-enacting scenes of the time, the day will mean something else to me. I was born and raised within the British Commonwealth, and have family and close friends in England. My visits to Britain have been delightful, and I do not hold any grudges against King George III or his descendants. 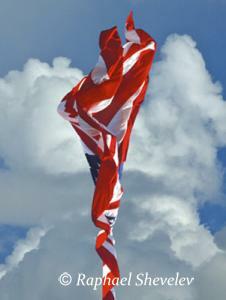 For me, our Independence is not so much about the past, but about the continuing dynamic of our country. It’s about becoming independent of all forms of prejudice, discrimination and anti-science foolishness. It’s not only about following the trajectory of our Founding Fathers and their astonishing brilliance, but about holding dear the lessons of a continuing momentum for extending civil rights. It’s about recognizing that this country, and indeed no country, can afford to continue “traditional” attitudes to minorities, women and gays. It’s to value not only Jefferson and Franklin, but also Dr. Martin Luther King, Jr., Rosa Parks, Cesar Chavez and the pioneers of gay and women’s rights. It’s to celebrate that previously excluded groups now include high government, business and academic figures. It’s to rejoice in the courage of Lily Ledbetter’s struggle for equal pay; Edith Windsor, the plaintiff in the DOMA case; and Texas State Senator Wendy Davis. The arc of our Independence continues to move forward, perhaps more slowly than some would like, but nevertheless it moves. Just days ago, our black President addressed Africa’s future in a speech at my alma mater, the University of Cape Town. A thousand miles to the north, one of his heroes and mine, Nelson Mandela, lies in a hospital while the world waits. I believe the United States Embassy in Pretoria has had only a single Fourth of July party per year for decades now. The arc moves. Before the destruction of New York City’s Twin Towers, my American-born francophone wife encountered a French tourist couple on the observation deck. They told her that they admired America’s dynamism, but observed condescendingly “La civilisation ça viendra” – civilization will (eventually) come. They were wrong. Civilization has been evolving here all along, but it is unlike Europe’s more constrained and settled curriculum. In every field of human endeavor, American civilization is a magnificent work in progress. Commemorating the history of our Independence is only the preface to building our future. I have great nostalgia for that future. This is wonderful Raphael. You express yourself so well and have so much wisdom to share. I am proud and happy that you are my friend. I am glad you came to this country. You are a magnificent asset to the United States as well as a continually creative artist. It's always a pleasure to hear from you and see your beautiful work. The energy and spirit you put forth for everyone to share is such a gift. You are a true American. Thank you for sending us your beautifully written and meaningful piece. Your beautifully written piece made me well up with tears--several times. Thanks for sharing. Wonderful piece! Thank you for sharing your well-constructed thoughts with all of us. I loved this piece. "Speaking truth to power" is what moves the world forward...moving the arc, so to speak. Thank you for your courage in confronting the notion of having two Independence Days, and for writing about America in a way that makes me love it all the more, in spite of all its challenges. Every time I read/hear/reread those stories of your South African youth, I marvel at how completely the boy you were resisted the more hateful values that your family had embraced. I also applaud and admire your loyalty to your adopted country and your faith that America is a “work in progress,” your nostalgia for the future. But though I think I must act in a way that would further that “work in progress” – my values demand that much and it sometimes gives me the satisfaction of feeling that I am on the right side of history – I no longer believe in the progress. I don't believe that there is a single trajectory of the Founders. I so enjoy your stories about South Africa, Dad. They go into my file "family history," which I will treasure for years to come. I think it is easier to see how far South Africa has advanced in its fledgling democracy than the U.S.. I fear the U.S. has had a terrible setback in its democracy in recent years. I'm not as optimistic as you are! As always this piece is beautifully written and a reminder of the integrity that has always characterized your life Raphael.